Rachel Barnard, a native of Brisbane who has been living in New York since 2007, is the Founding Executive Director of Young New Yorkers, an organization that provides arts-based programming to court-involved young people in Brooklyn. Young New Yorkers has an Art Exhibition and Silent Art Auction on April 1 at the Joseph Gross Gallery in Chelsea, buy tickets here. Read on to learn more about Rachel and the Young New Yorkers (YNY) program. 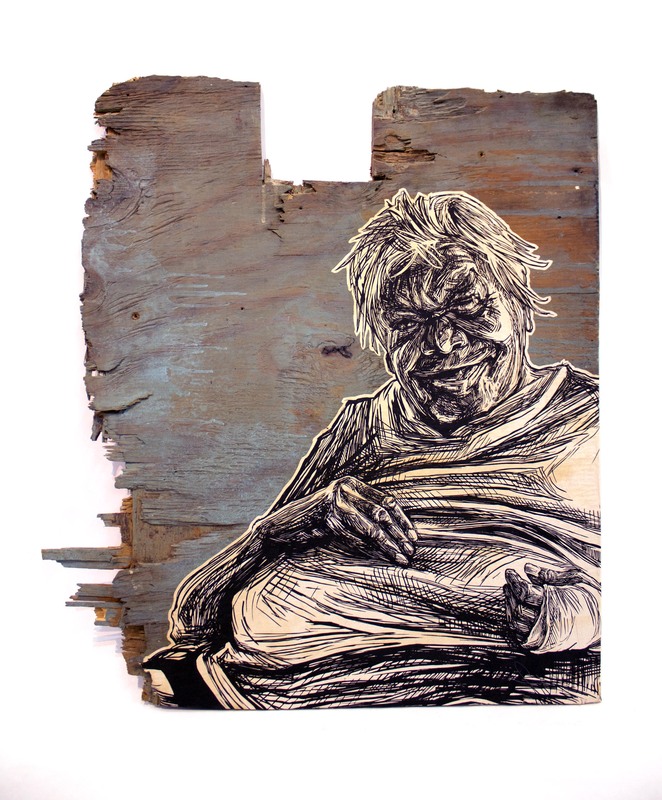 Artwork by SWOON called Mrs Bennett, of an Indigenous Australian artist. Rachel believes that, with the right leadership, court-involved young people can transform the Criminal Justice System through an exploration of their own creative voices, and naturally become community leaders themselves. The criminal court gives eligible defendants—all of whom are 16- and 17-year-olds and who in New York are tried as adults—the option to participate in Young New Yorkers rather than do jail time, community service, and have a lifelong criminal record, with the opportunity at the completion of the program to, in most cases, have their cases dismissed and sealed. YNY is a grassroots operation, and through the dedicated service of its dozens of partners—many of them leaders in their own fields—runs three transformative programs. Though YNY offers a voluntary public 8-Week Community Program, the most essential and timely work YNY does is through their two court-mandated programs: Their hallmark 8-Week Diversion Program is a series of six intensive, hands-on workshops prepares the participants to design a public art installation that expresses a positive social message of their choice. Local artists join each workshop and assist the participants in weekly art projects. The weekly artworks and the final installation design are then presented to the public at the Young New Yorkers Finale. At the Finale, members of the Criminal Justice System (as well as members of the community-at-large, family, and friends) are invited to re-meet the graduates newly—to know them as creative and empowered individuals, and to glimpse their extraordinary lives via their artworks and installation designs surrounding their ideas for a better world. YNY also serves a court-mandated DAT-Y One-Day Program, a three-hour, arts-based workshop with a focus on critical thinking and positive choice making, culminating in a court appearance, which is transformed into a graduation and exhibition of participants’ artwork. The curriculum for each program is uniquely tailored to develop the emotional and behavioral skills of the young participants while facilitating responsible and creative self-expression. Central to the curriculum is the concept of taking responsibility for past actions as a necessary step before becoming valued members and even leaders of one’s community. Each workshop is framed by a relevant theme: community; choice; accountability; responsibility; contribution; leadership. These themes are explored, as they relate to each participant, in conversation with the group and through art exercises utilizing photography, video, illustration, and design. 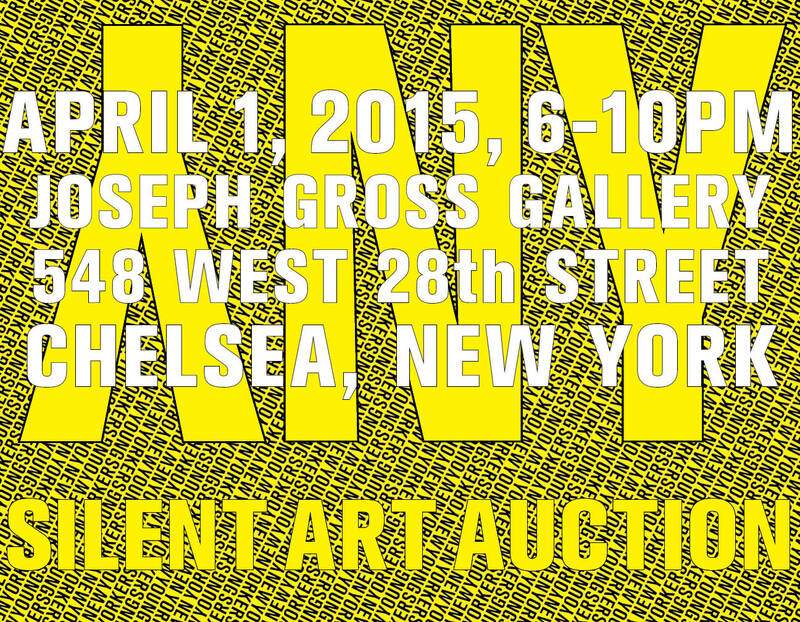 For their annual Silent Art Auction on April 1, YNY has partnered with over seventy artists from New York and beyond to ring in their 2015 programming year, including Shepard Fairey, Steven Holl, David Hockney, Swoon, ASVP, Hanksy, and Gilf! “From the beginning our Diversion Programs have been supported by local Street Artists, many of whom were arrested for graffiti in their youth before they became celebrated artists.” – Rachel Barnard. She and Young New Yorkers invite you to attend the Silent Art Auction, meet YNY graduates, artists, and members of the Criminal Justice Community, and to support the city’s justice-involved young people to continue to transform the system through their own creative voices. Buy discounted advance tickets to the auction here. photo credit: Rachel Barnard center with two of the Young New Yorkers, Courtney and Juana.